Wide range of styles and sizes to hold virtually any substrate, from thin and light to thick and heavy. Materials include anodized aluminum and PVC plastic. Our sign holders easily snap open and shut. Elegant and strong, our holders can be adjusted to your requirements ensuring that your posters, screens or textile images are always presented in the best way. 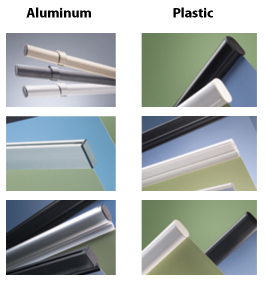 You can chose between frames made from aluminum or plastics in many different colors. Those are available in several variants using simple mechanisms (slide-in, squeeze and flap).